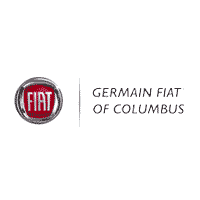 In the market for a new FIAT for sale in Columbus? We must say, you have great taste! Whether you opt for the classic FIAT 500 (a recipient of stellar reviews) or the spacious FIAT 500X, you're going to love how you feel behind the wheel of one of these sporty, eye-catching vehicles. The best way to truly experience the prowess of a FIAT is to get behind the wheel! Contact us to schedule a test drive in your favorite model today, or to ask any questions you may have. Our dedicated sales team is happy to help! No matter what type of vehicle you're searching for, we can find a great match. If you desire the ultimate in power, why not take a look at the 124 Spider or compare it to the Mazda Miata? With its 160-hp engine, you're going to love zipping through Columbus, but don't be surprised if you turn a few heads! Whichever you model you choose, be sure to check out our latest new vehicle specials for great savings before visiting Germain FIAT.